Coconut oil is being in use for so many decades and now even the medical science also gives permission to use it. 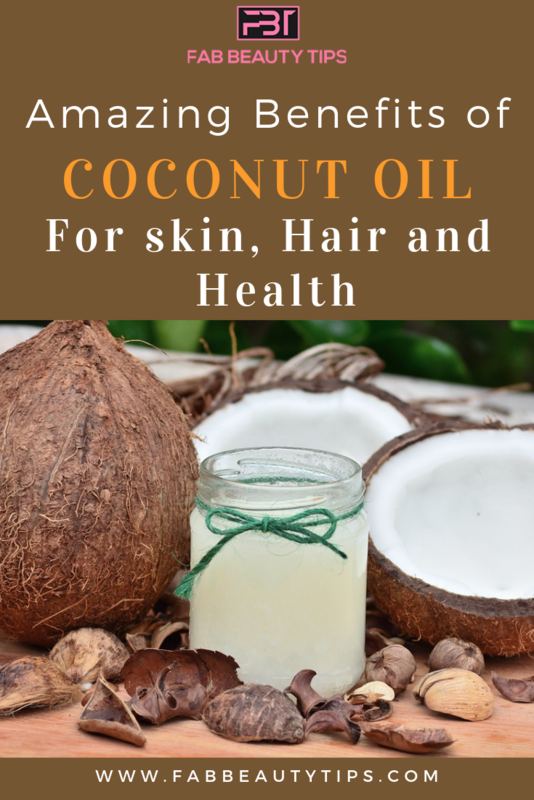 Many people use this oil on hairs but very few know that there are many benefits of coconut oil for skin, hair and health. Coconut oil, what we can also call one of the widely used oil, offers us amazing benefits – most of which are unknown to a many people. So to solve you all doubts we have came up with this article which talks about the major benefits of coconut oil which can help you in many ways. It is proven that virgin coconut oil hydrates the skin and lock the moisture in. Coconut oil is proven to be the blessing for excessively dry skin. When applied topically it goes under the skin and also make maintain the water in the body due to water loss. It is preferable to apply oil right after having the bath. Coconut oil is rich in antioxidants reduce inflammation and heals wound fast. It is used to heal the wounds and to reduce the inflammation on the skin from ancient times. People use this as a medicine. We ignore our lips many times. In winters they chapped a lot and some times it also seen that they get cuts and starts bleeding. But to avoid this situation and to moisturize dry and chapped lips always use coconut oil. Apply a generous amount of the oil in night and sleep. Next morning your lips will hydrated and soft. Coconut oil has antioxidants which helps in healing the cuts on the skin. This oil also stops the blood from flowing more out of the skin. Apply this oil on the cut and cover with a clean cloth. Do this 3-4 times a day and the cut will get healed in less time. Coconut oil helps in treating the acne without doing any harm and without clogging the pores. Apply some coconut oil mixed with tea tree essential oil and apply on acne and pimple. Let this work on acne overnight. As mentioned above coconut oil heals dry skin and moisturize it, it also helps with treating eczema and psoriasis. They appear on the skin because the skin get very dry and need moisture at the high level. Apply coconut oil on them after getting done with the bath. Also you can apply this at night before going to sleep. It is good if this applied 2-3 times a day. Use of coconut oil helps in treating the burns effectively. It also kills the bacteria and reduce the inflammation. Coconut oil conditions the hair as it is rich with moisturizing properties. It moisturizes the dry hair. By hydrating and conditioning the hair coconut also tame down the frizzy hair problem. It is good to use overnight. It also gives better results when applied to the wet hair. The most common cause of dandruff is dry scalp. Our scalp also needs the proper moisture as our face and body needs. But before buying any expensive shampoo for treating the problem of dandruff just use one thing – coconut oil. Warm up 2-3 tbsp. of coconut oil in a bowl and apply this to your scalp. Massage it for 5 to 10 minutes and leave it overnight. Wash it off the next morning. It will lower down the amount of dandruff falling to your shoulder in one use. Using coconut oil helps in preventing hair loss. It moisturizes the dry ends and scalp which is the main cause of falling. It repairs the damage hair and thus give results in reduced amount of hair fall. You can also mix this oil with onion juice and apply it on your hair once a week. It doubles the benefit. If the hair is damaged and dull there is no shine in the hair. And to add shine to the hair experts swear by the coconut oil. It adds shine, lustre and softness to them. Apply some amount of coconut oil as a serum on your hair and comb it as usual. It also work great as a overnight sleeping hair mask. You just need 2-3 tbsp of coconut oil and some aloe vera gel. Mixed these both and apply on the hair. Leave it overnight and wash it off in the morning. It will add softness and makes your hair smooth. Scientists has found that coconut oil helps in blasting the fat in the body. Consuming 2 tbsp of coconut oil daily can burn about 100 to 200 calories per day. It’s not that much fast but at least it is safe to use as compared to the harmful chemicals presents in the weight loss products in the market. Coconut oil is antibacterial in nature and these properties make it suitable to fight with the bacteria available in the body. The presence of lauric acid is the main lead to fight against the bacteria, viruses and fungi. This is also proven to be great for the infections in the body. It helps in increasing the metabolism of your body and this will result in curb appetite. It control the fatty acids in the body and also helps in achieving toned body and muscle. Recent studies has shown that using coconut oil in your diet improves the cognitive of Alzheimer patients. Coconut oil is a great source of ketone that helps in improving the memory. But there is more study is going on this benefit of coconut oil. As said earlier coconut oil has ketone that helps with increasing the memory power of a person. Coconut oil get mixed with the blood and goes to the brain which improves the working of brain. Coconut oil is rich in natural saturated fats, it increase the healthy cholesterol in the body which improves the health of heart. It lowers down the amount of bad cholesterol from the body and maintain a balance in them. It lowers the risk of getting a heart attack at early stage. Imbalanced hormones can be found in men and women at any time. Coconut oil can help in maintaining the balance of hormones. The lauric acid present in coconut oil does this task for you. Consume 2-3 tbsp of coconut oil daily in your diet for achieving balanced hormones. Hope this article has helped you in a way solving your doubt about benefits of coconut oil. These coconut oil benefits are really amazing and will amaze you when you start using this. Do leave your comment below and let me know how this article coconut oil benefits helped you and do share it with your friends too. I was looking for the solution to acne. Now I can try this coconut oil hack. Loved this post. 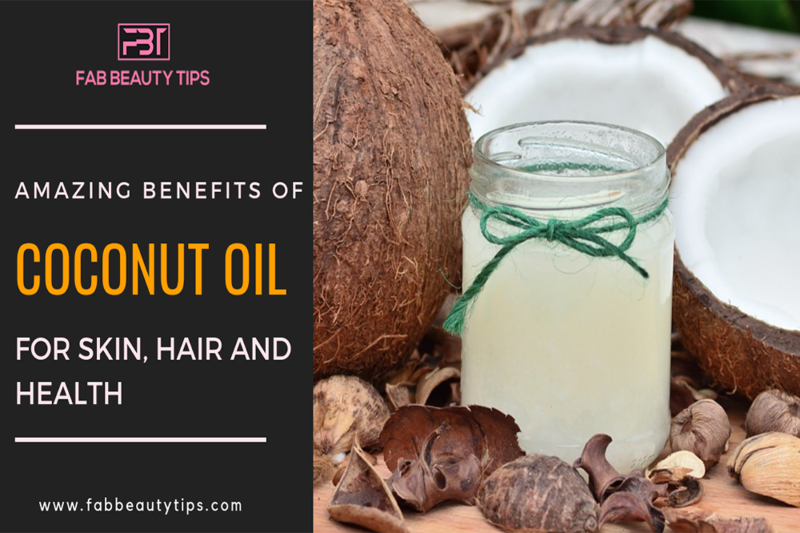 I always knew that coconut oil is very helpful for our skin and hair but you have added some of the amazing benefits too. Coconut oil is for curing chapped lips is very new for me.. Will try out this. Once again you have presented your readers with such a comprehensive and fantastic list. Thank you so much for this detailed post. Indeed there is one remedy for everything as my mom used to say and that is coconut oil. From skin moisturiser to hair care to care in cuts or burns , I have always used pure coconut oil.